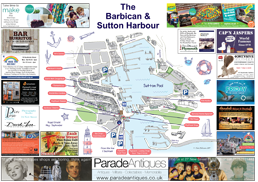 The Sutton Harbour lock footbridge is expected to reopen tomorrow Good Friday – 19 April. The one tonne bearing has been successfully fitted by a local company. Following installation, full testing has been carried out by expert teams effectively and safely, with the lock remaining open to marine traffic for the majority of this time. Plymouth City Council commissioned the repairs, which involved a complex engineering project with a bespoke bearing manufactured in America after local engineering companies turned down the commission. 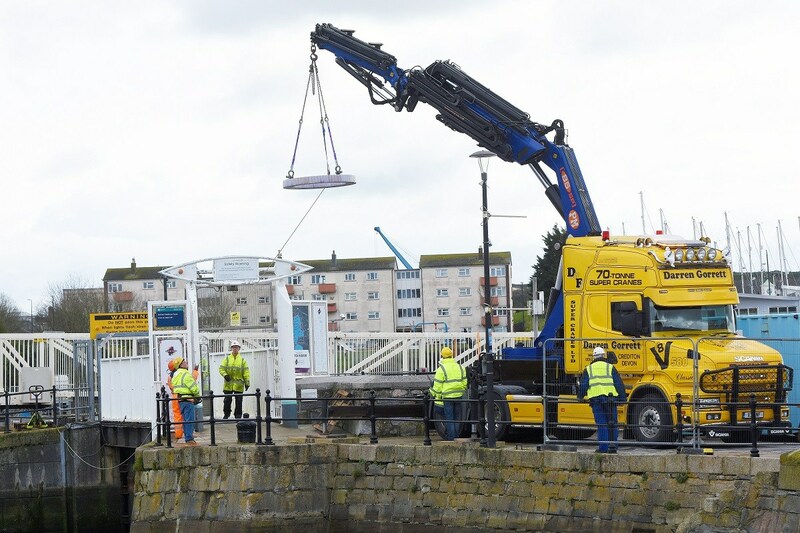 The repairs have been jointly funded by Plymouth City Council, Sutton Harbour Group and the Environment Agency with all three organisations contributing more than £250,000. 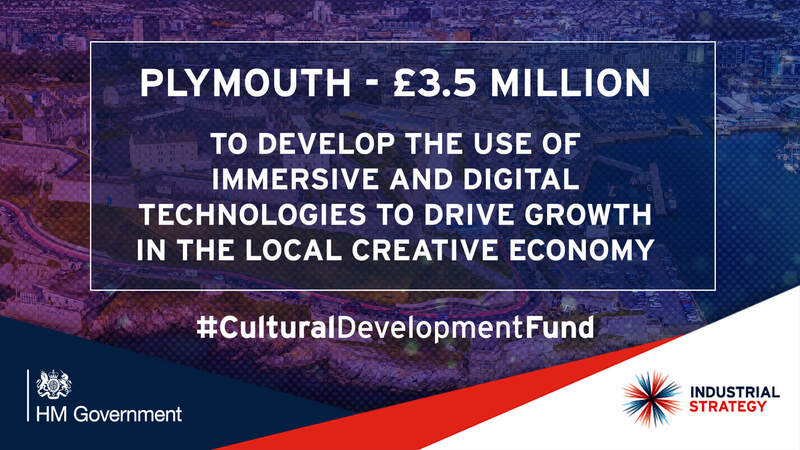 Plymouth Waterfront Partnership also contributed £10,000. The bearing acts like a turntable, with the inner ring attached to the underside of the footbridge, while the outer ring is attached to the foundation plinth. The custom built pedestrian footbridge across Sutton Lock was fitted over 20 years ago as part of the installation of the Sutton Harbour lock gates. The lock gate’s main function is to manage flood risk and allow marine traffic, such as fishing boats, to enter Sutton Harbour. The lock footbridge will be open to the public between 6am and 11pm seven days week with the exception of Christmas Day when it will be closed. Operating times are dependent on waiting marine traffic, which takes priority. 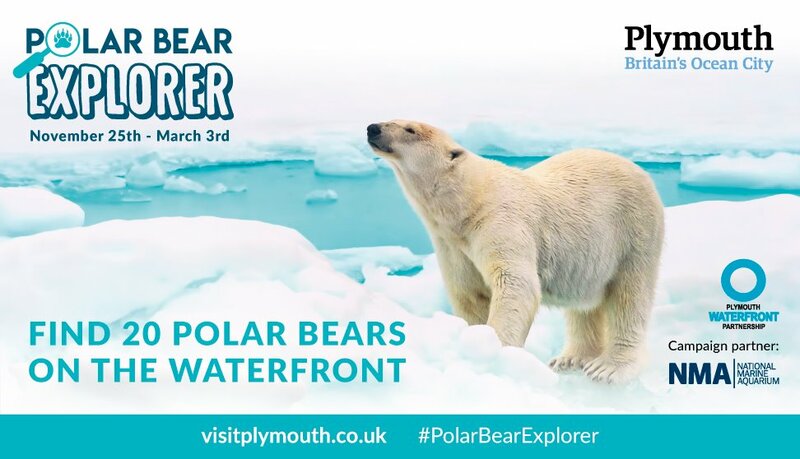 Become a Polar Bear Explorer this winter! 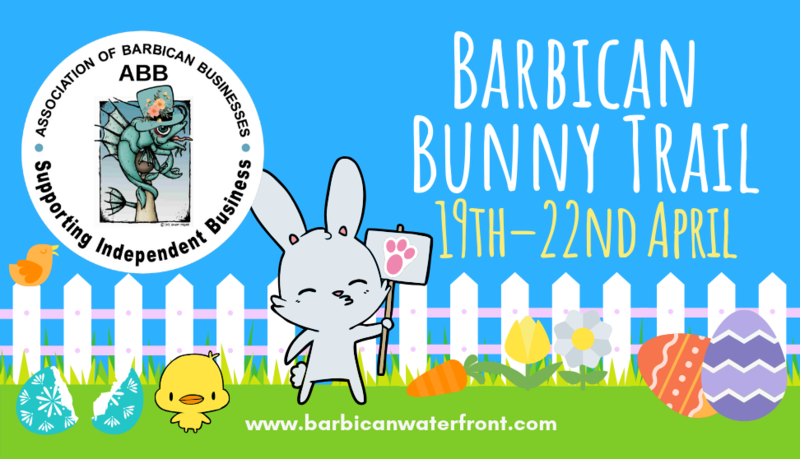 Enjoy a free family trail across the Plymouth’s famous waterside locations including the Barbican, learn about how plastics affect these beautiful animals and their habitat and explore the city. 20 polar bear cubs are hidden within local businesses this winter, find them all and complete the trail sheet for your chance to win a prize. This trail runs until 3rd March 2019 and is a perfect opportunity for families to join in with the spirit of adventure and spend some quality time together. Each polar bear reveals an interesting fact for your children to learn once found. 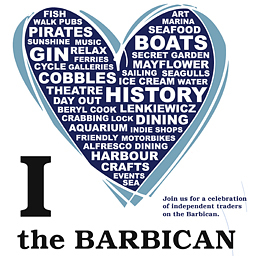 You can collect your trail sheets from any participating businesses and drop them off at the National Marine Aquarium, the Barbican Tourist Information Centre or Bistrot Pierre once completed. You may also download them as a PDF from the Visit Plymouth website.